It was 30 years ago this week when our publisher, Dusty Hopkins and his ex-wife Terry, published their first Boca Beacon … and oh, what a ride it has been. You might ask how a nice couple of people like them got caught up in a maelstrom of 50-gallon barrels of ink, fishing captains and socialites, and still managed to take a bi-weekly newspaper to a weekly, not to mention adding several special publications along the way. The answer is this: A love for the free press and Boca Grande. Terry was working for Gannett News Corporation in the late 1980s, and had been transferred to Fort Myers to be the publisher of the News Press. Dusty was a real estate investor at the time, and had been for almost 10 years. Prior to that, he was discharged from the Air Force in 1978 and became a bank trust officer. He met Terry at the University of Florida in Gainesville where she received a degree in journalism and he was a business major. The two were married after graduation and moved to Rochester, New York, and Terry worked for the Democrat & Chronicle. Gannett sent Terry to several locations prior to Fort Myers, and by that time she and Dusty were ready to find a place to settle down. 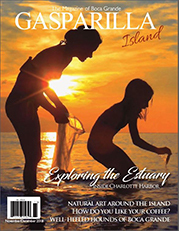 As it happened, Terry was in a Lee County leadership group with Creighton Sherman, who was then the head of the Gasparilla Island Conservation and Improvement Association. He told her about a lady named Marnie Banks who had started a newspaper in Boca Grande, and said she just had to meet her. When that meeting eventually took place, Terry and Dusty asked Marnie what her thoughts were on selling the newspaper. The announcement of the purchase was made in the July 29, 1988 edition of the Boca Beacon with the headline, “Beacon plots new course.” Marnie stayed on for quite awhile as an executive editor and consultant, but eventually moved on to pursue other projects. Unfortunately, those plans were cut short when she passed away in an automobile accident on January 19, 1991 at the age of 43. Known for being “always barefoot and always late,” the free spirit left behind a legacy through the Boca Beacon which included playing a vital role on the island. It was Marnie and her friends who founded the Barrier Island Parks Society, and that group was responsible for the renovations that saved the life of the Port Boca Grande Lighthouse. The Boca Beacon under Hopkins & Daughter, Inc. flourished as a weekly, and continued to provide the island with local news and important stories … sometimes even quite controversial stories. Back in the 1980s things were a bit less refined around Gasparilla Island, and it wasn’t uncommon to find local police reports that included reports of armed robberies, thefts, even murders. 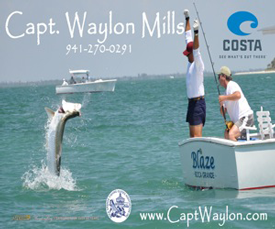 From competitive mullet fishermen feuds turning deadly to hundreds of pounds of pot being found on boats in local marinas, life was much different around here back in the day. Through the years Dusty became a very active member of society on the island, helping to found the original Boca Grande Chamber of Commerce, being one of the original spaghetti dinner volunteers and helping to fund numerous local projects and organizations. 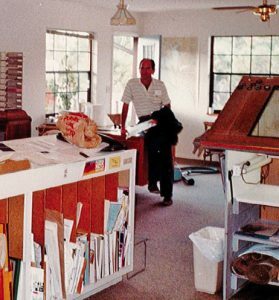 When Dusty purchased the Boca Beacon the office was on Placida Road near Palm Island Marina, but the paper was first published in the old Kuhl house on Palm Avenue. From Palm to Placida Road and back again to the island the newspaper office went, eventually ending up in its current location at 421 Park Avenue. One of the Hopkins’ family objectives was not only to continue to produce a weekly small-town newspaper filled with actual news from the island (not press releases), they wanted to expand the publishing company’s repertoire to include other pertinent publications as well. 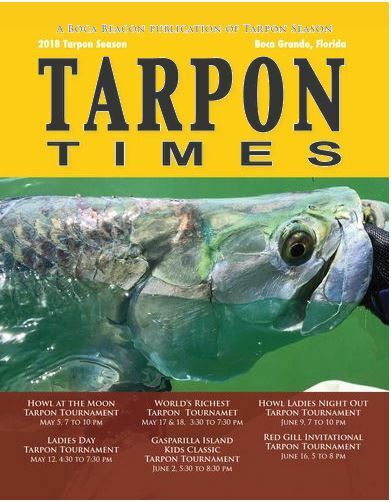 At the time of purchase Tarpon Times was a very small insert once a year into the Beacon, but Dusty’s vision for the booklet was much larger. 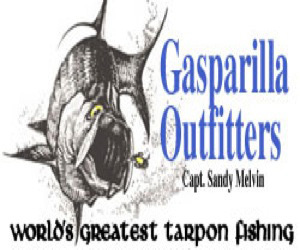 Though it started under Marnie in 1984, in the years that followed the purchase of the paper Dusty and Art Director Daniel Godwin expanded the publication and made it what it is today – a wealth of tarpon fishing information geared specifically to traditional, live-bait Pass fishing. 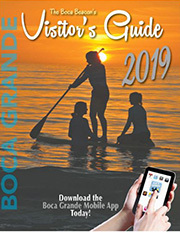 In 1987 the Beacon began printing their annual calendars, and what began as a photo collection has since become a “go-to” social essential, as it comes with the dates of the island’s most important events already noted within its contents. 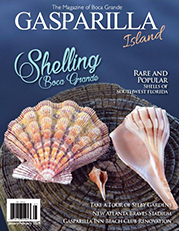 As it always has, though, without fail it contains island images of everything from seashells to flowers to dogs, and is a big favorite of locals and winter residents alike. 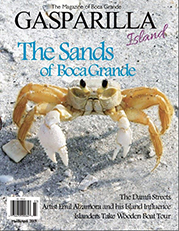 In 1991 Dusty added a new publication into the mix, when the first Visitor’s Guide hit the streets. 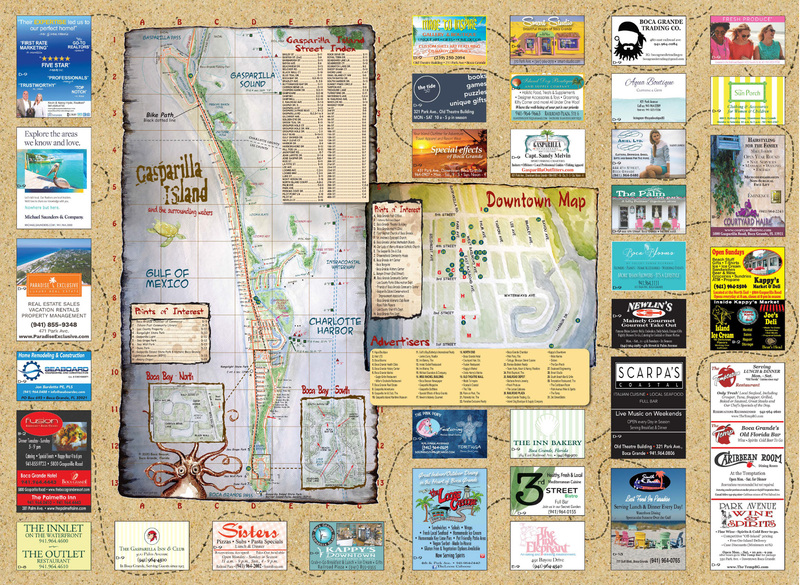 Originally called a “business directory,” (1984) it contained good, current information about which restaurants, shops and other businesses were open, beach information and advise, golf cart rental and hotel accommodations and much more. It is considerably bigger today than it ever was in the past, and is still very popular with visitors. In 1992 Hopkins & Daughter put out their first “four-digit” phone book, and while we no longer use just four digits it is still widely-sought after every year when the new edition comes out. 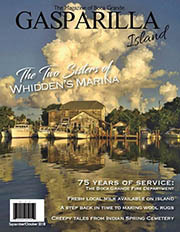 For a time the Beacon staff also published the Gasparilla Gazette, which was purchased along with the Gasparilla Magazine brand. It was a difficult sell to the public, though, and was put to rest about a year after it was resurrected by Hopkins & Daughter. 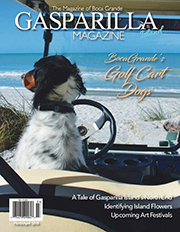 Gasparilla Magazine has since become Gasparilla Island Magazine, and is put out bi-monthly by the same staff that puts the Beacon out, with the exception of magazine Art Director Christine Cunningham. 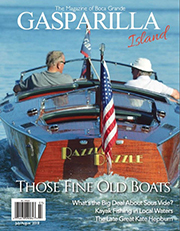 The magazine, like the Beacon, has taken off in popularity and has risen to some pretty impressive critical acclaim. 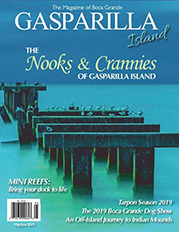 In so many ways the Boca Beacon is very much the same little newspaper that came into being back in 1980 when Jack Harper, who was then the owner of Millers Marina, and Marnie first decided to give it a go. We have tried to keep the tone light in most cases but are quite serious when we need to be, all with the ultimate goal of objectively reporting the truth about every story that comes across our path.